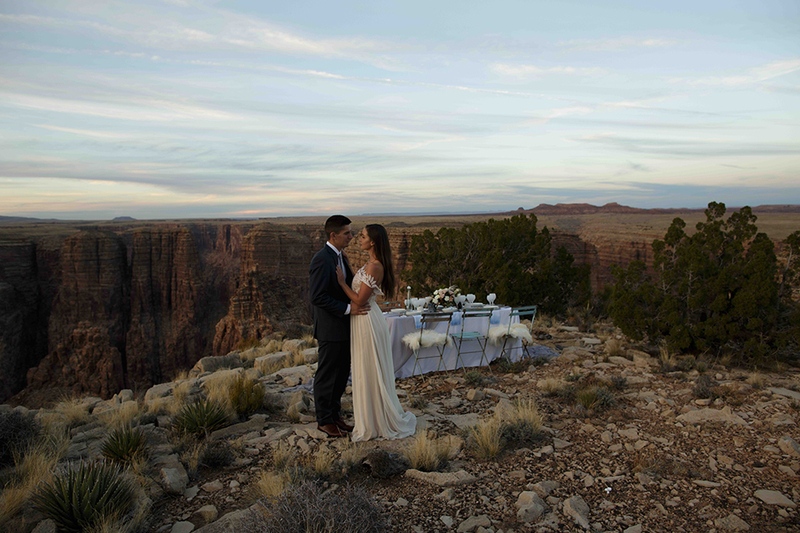 There is no place like the great canyons of Arizona to prove that even nature’s most rugged of all features can exude a soft romance when the light hits just so. 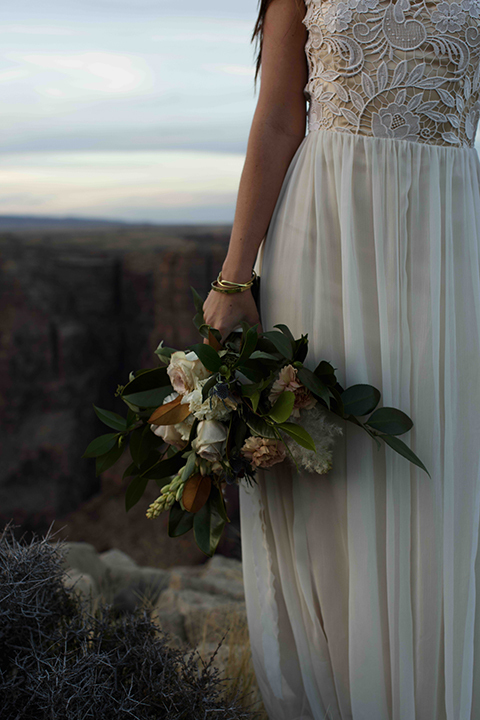 The team behind today’s inspiration set out to create a styled shoot with a juxtaposing vision: from sweet gazes against sharp cliffs, to billowing linens resting on gravel + rocks, or desert blooms amidst the sand and stone…we love it all! 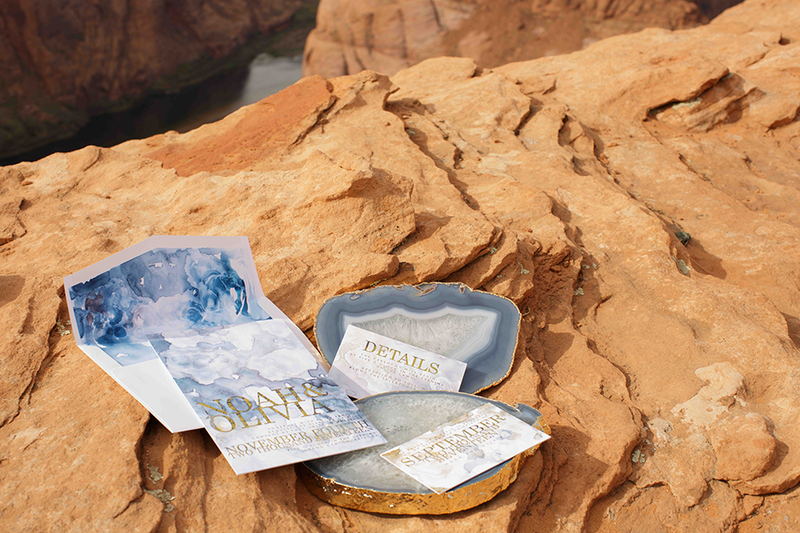 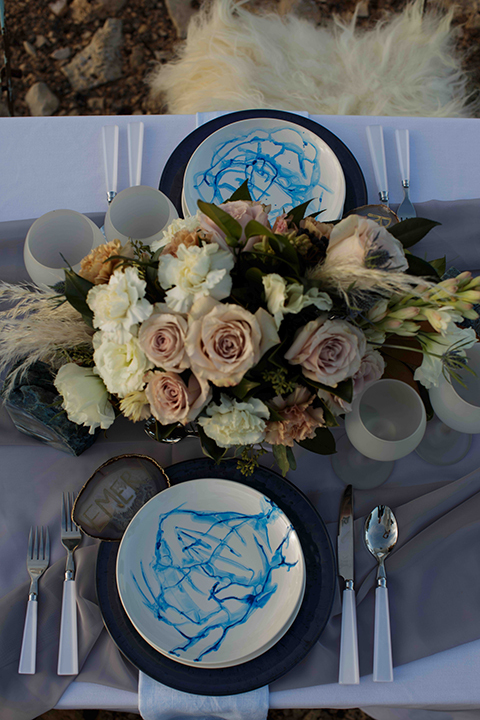 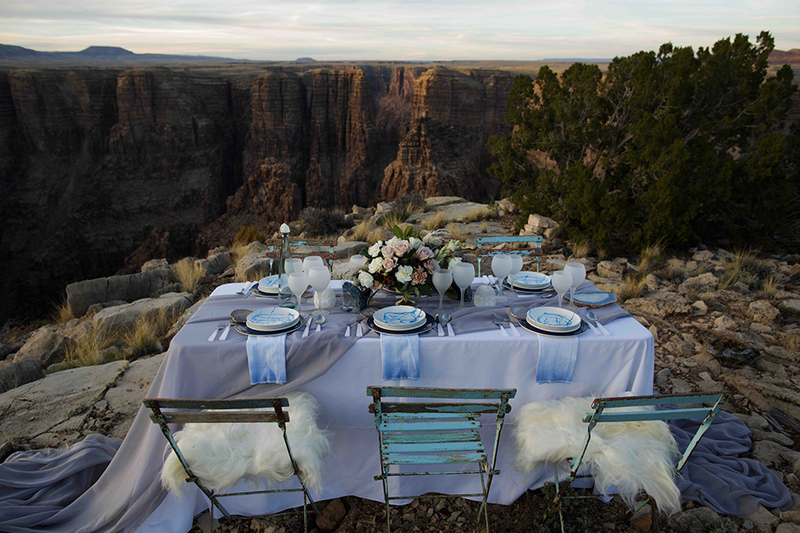 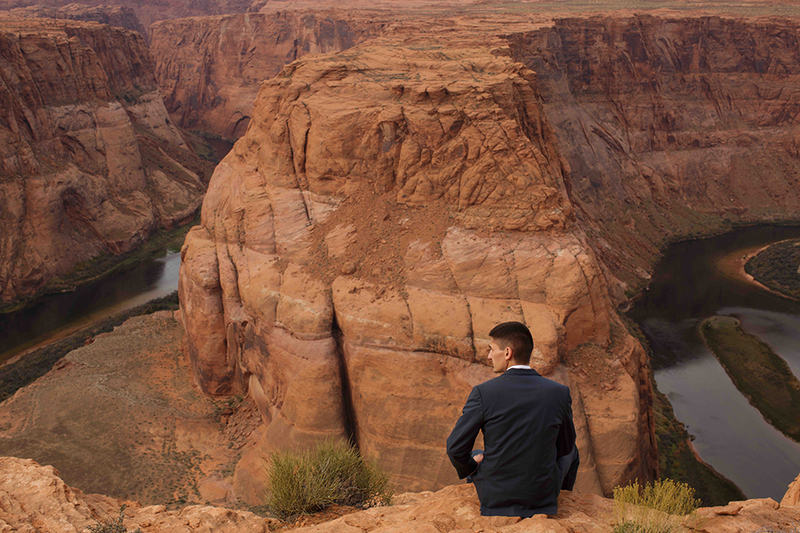 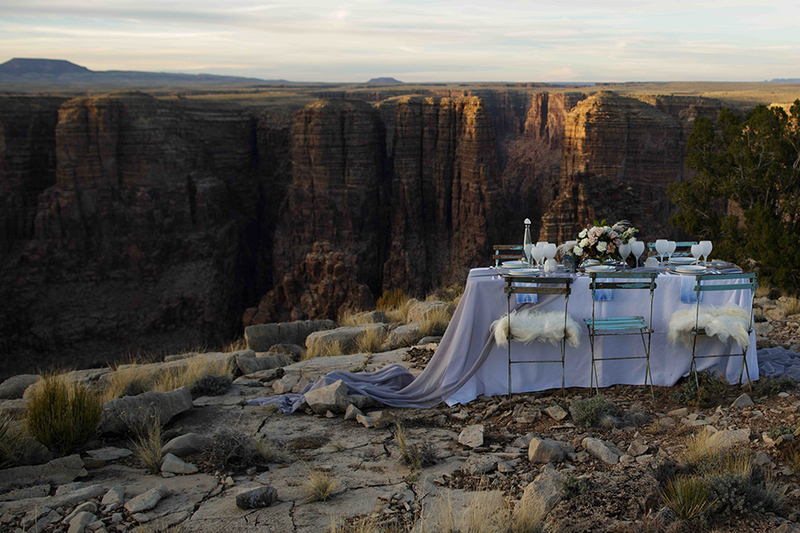 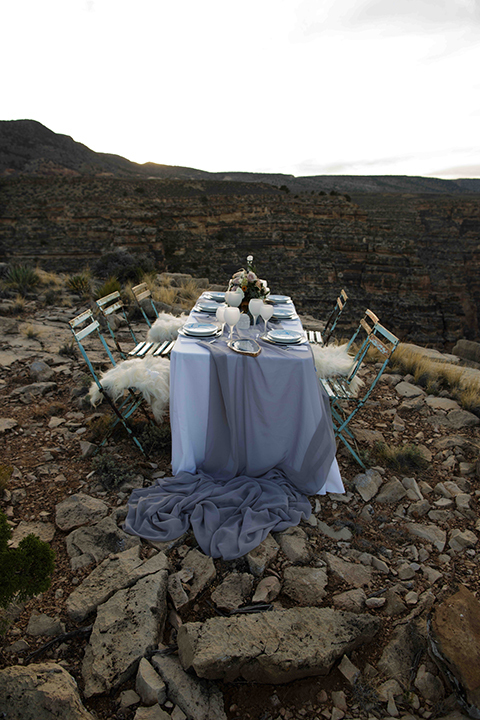 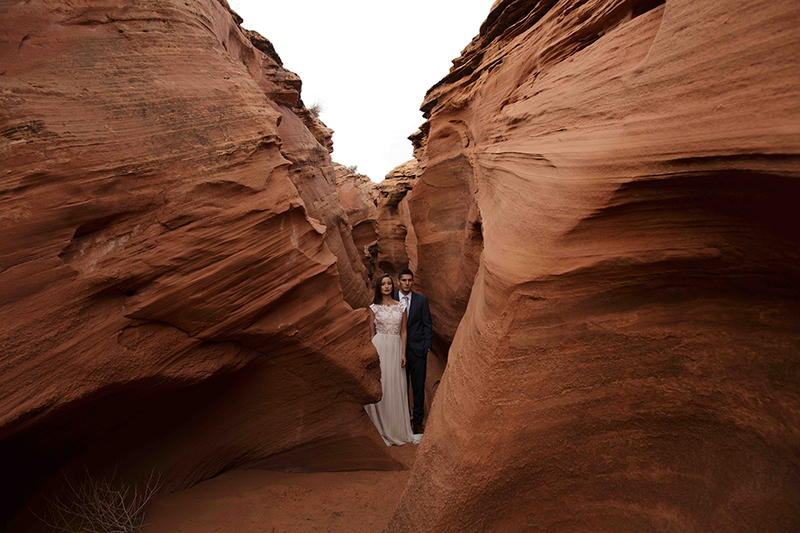 Designed by Deanna Nash Events, the final outcome of the shoot was meant to echo, to some extent, the natural patterns and colors of the canyons. 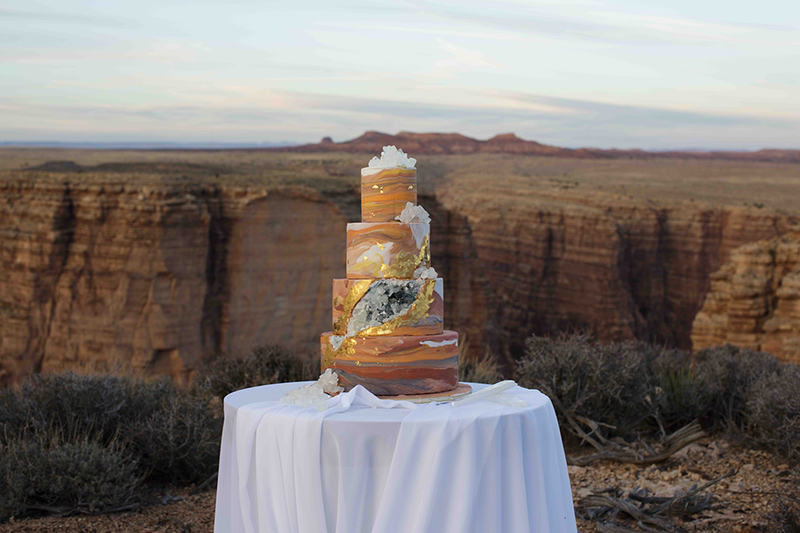 (Just wait until you see the cake!) 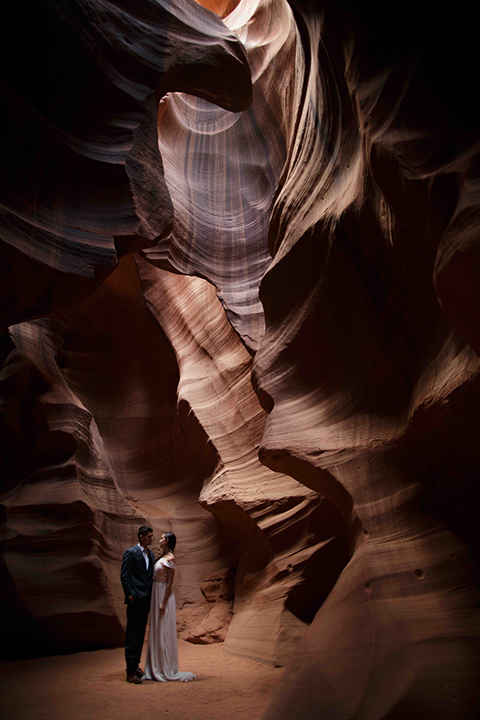 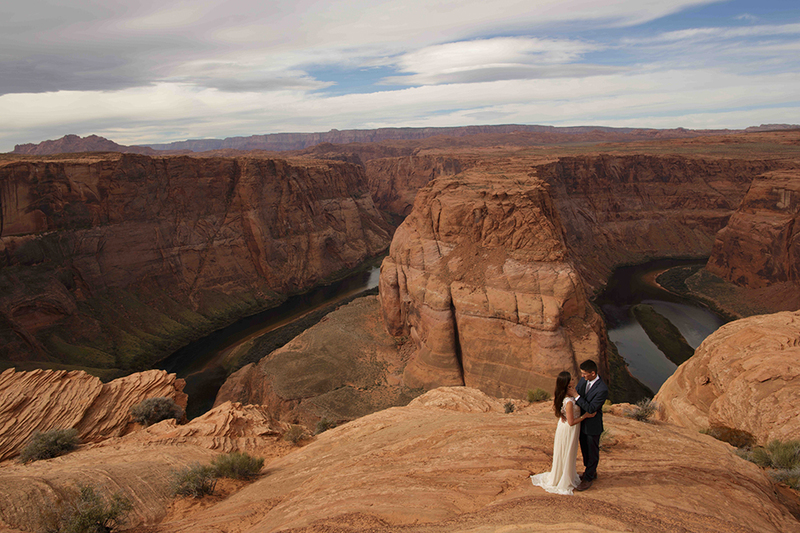 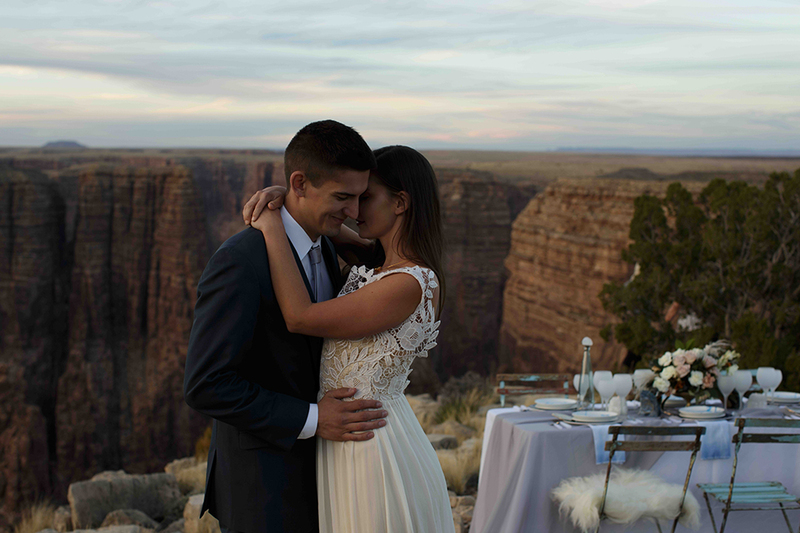 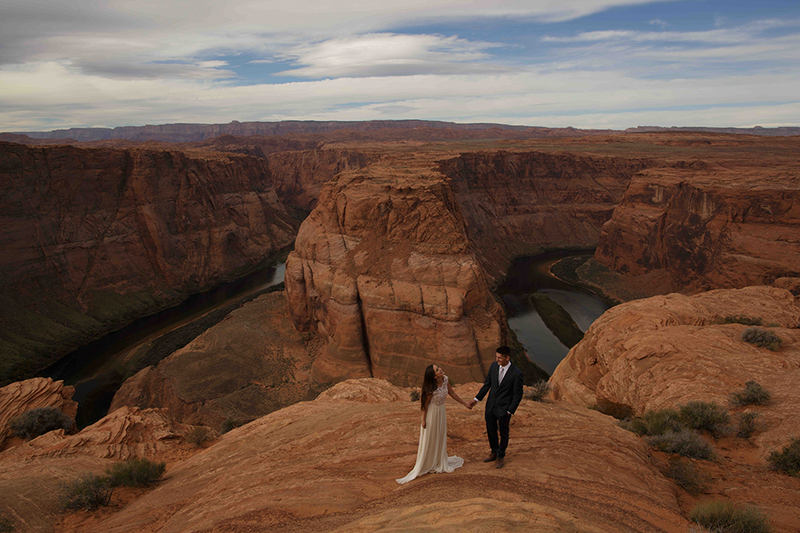 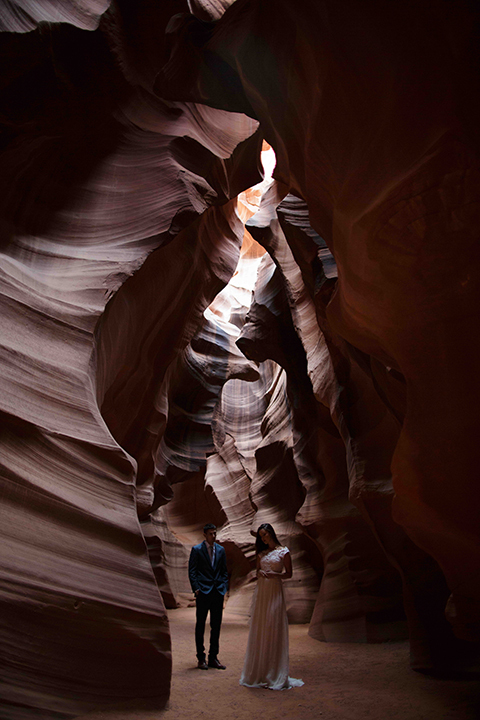 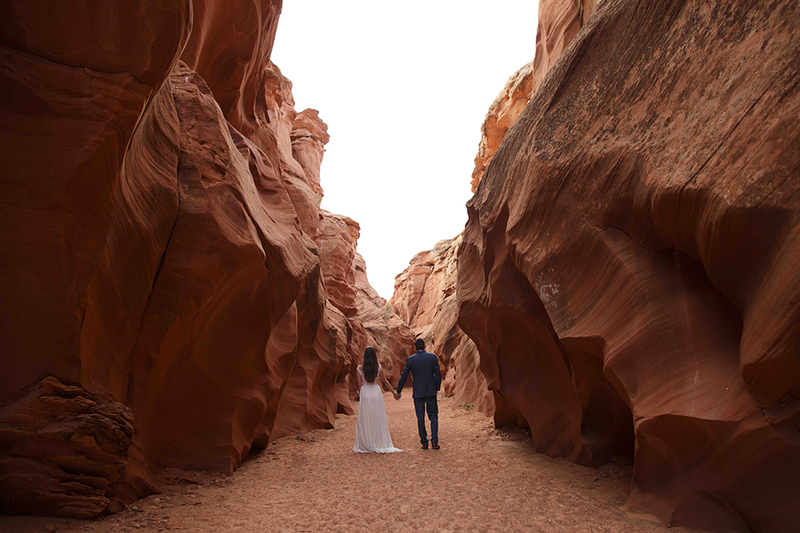 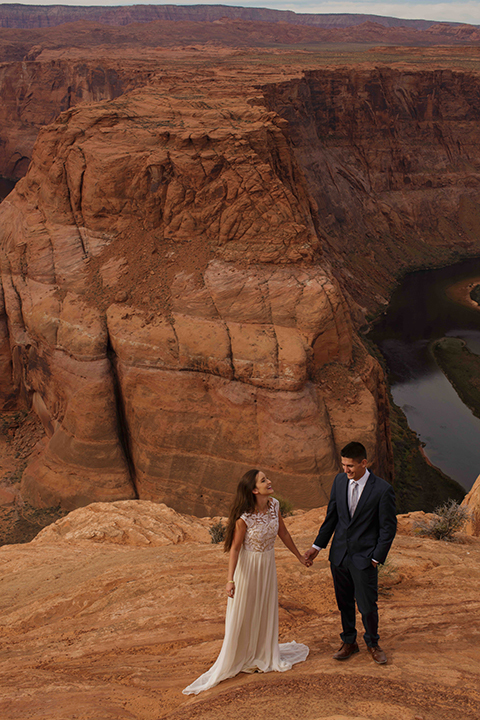 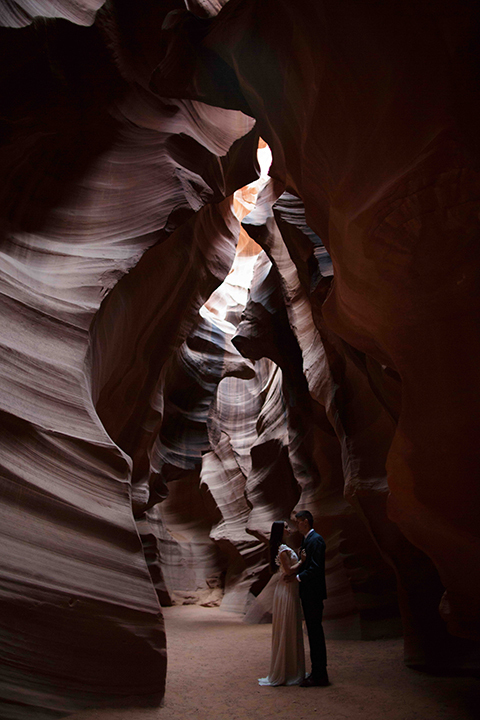 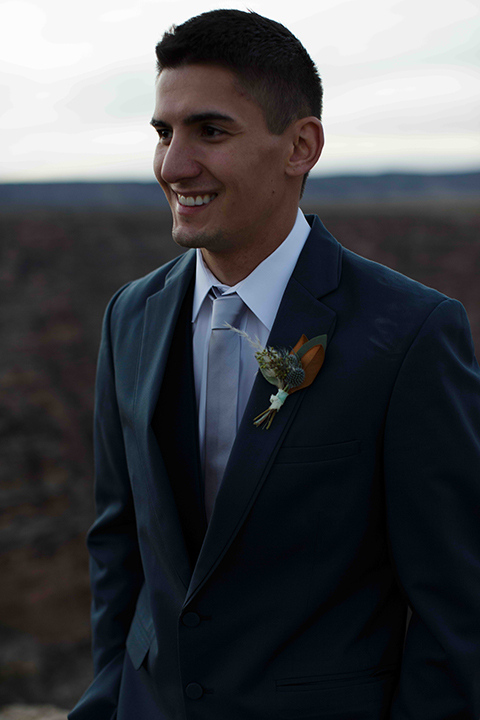 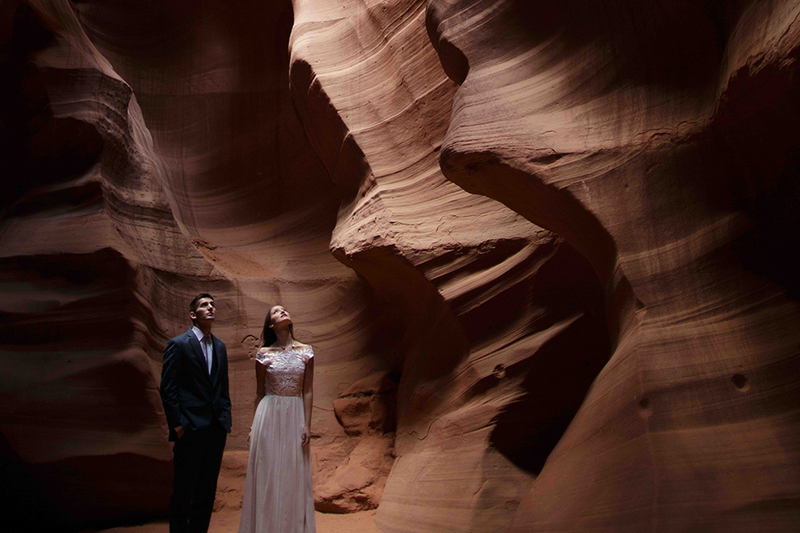 Captured at Grand Canyon, Antelope Canyon, and Horsehoe Bend, the team tells us: We hoped to inspire brides to be adventurous and to find natural beauty—wherever your is wedding set! 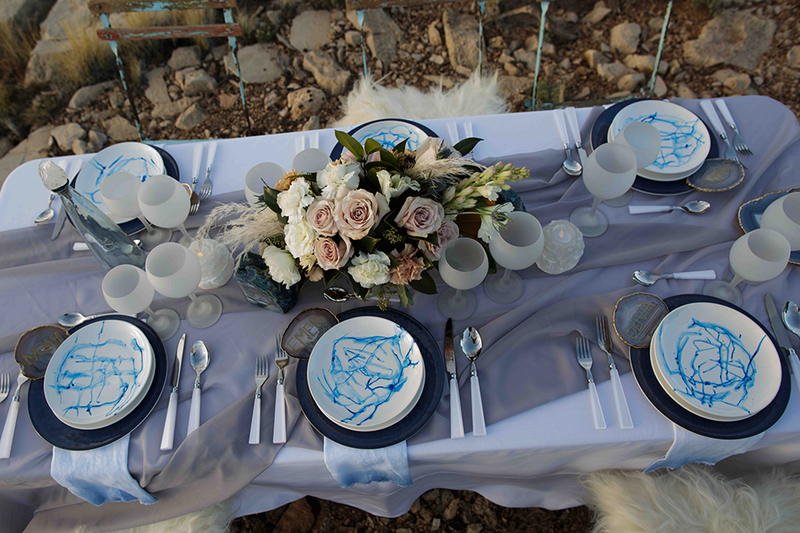 Let’s have a look at the photos from The Argus Image! 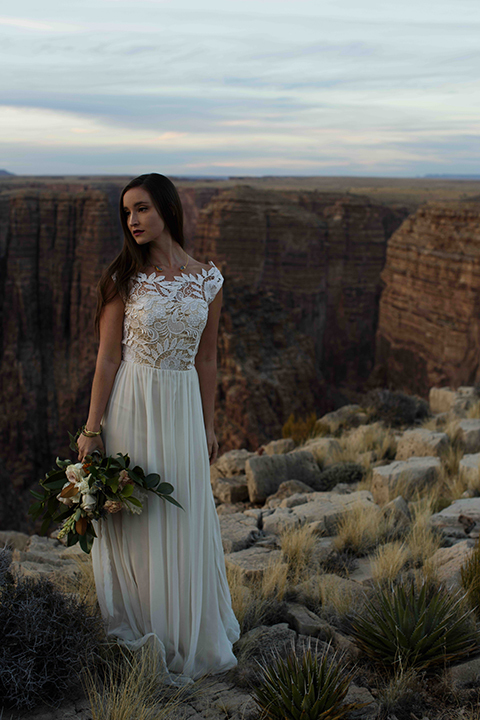 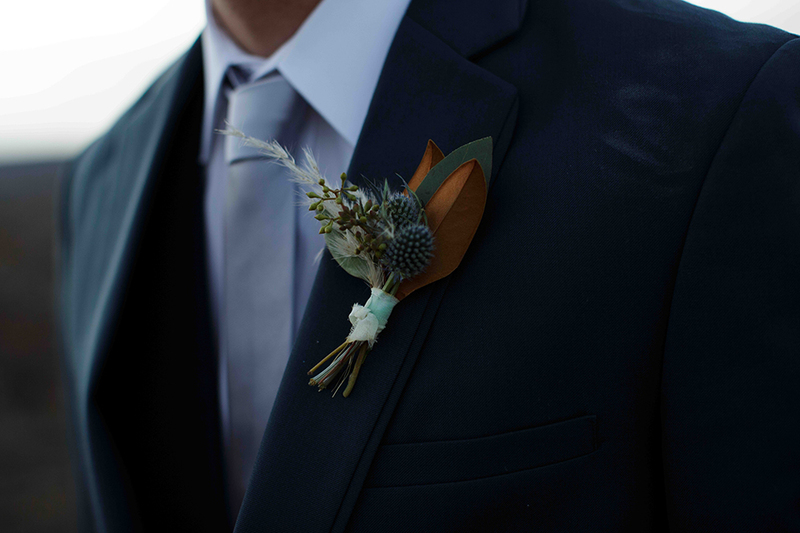 This shoot was also featured on Green Wedding Shoes!